In Thailand, this easy, healthy banana coconut and custard dessert recipe is normally steamed. However, baking it in the oven is just as good and less messy. This is an easy Thai dessert that is quickly whipped up with a blender, mixer, or food processor. Or, you can simply blend with a whisk. It is a terrific way to use leftover bananas, and you can put this dessert together in less than 10 minutes. Just put everything into the blender, pour it into ramekins, and pop them in the oven. Served warm, cold, or at room temperature, this creamy, tropical-tasting dessert is also healthy, plus low in fat and calories. This recipe is gluten-free as well as dairy-free. Enjoy! Prepare 4-6 ramekins for the dessert by greasing them with a little oil. If you have banana leaves, make a lining with them by cutting two or more wide strips and pressing them into the ramekin (like a cross or a basket). Place the coconut milk, sugar, eggs, banana, and flavoring in a blender or food processor. Blend or process for 30 seconds. If you don't have a blender or processor, simply mix the ingredients together in a bowl with a fork or whisk for 1 minute, or until the sugar has dissolved. Pour the mixture into the ramekins, filling each one 3/4 full. Place the ramekins in a flat-bottomed glass dish (a lasagna or casserole dish works well). Fill part-way with water—up to 1/2 the height of the ramekins—and carefully place the dish in the oven. Bake for 45 minutes to 1 hour, or until the custard has set and is firm. Serve the ramekins either hot, cold or at room temperature. If desired, sprinkle with a little dry shredded coconut, sweetened or unsweetened. This dessert is a great use for well-ripened bananas. As the brown spots appear, bananas are producing even more intricate flavors and developing maximum sweetness. 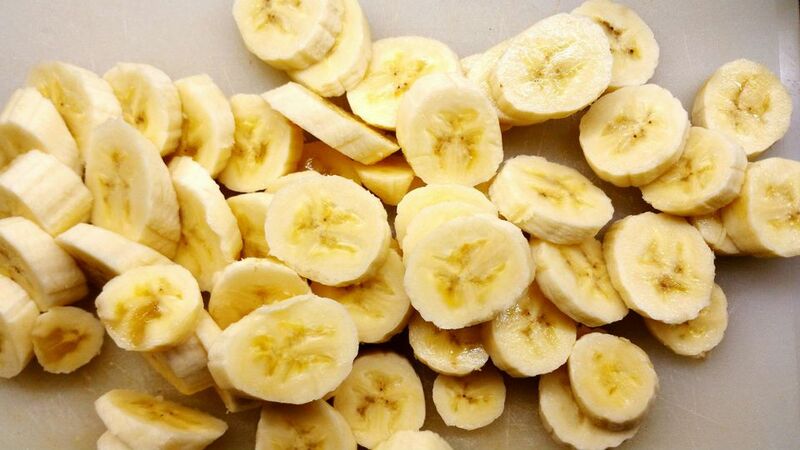 You'll be able to use less added sugar by using very ripe bananas. Coconut milk is used in many Thai desserts as well as savory dishes. For those who want creaminess but are eating dairy-free, it is a useful ingredient. You may also want to make this Mango Custard and enjoy another tropical fruit flavor.